I believe you were bored with "these kinda" fonts lately. I tell you something, you'll never avoid that. 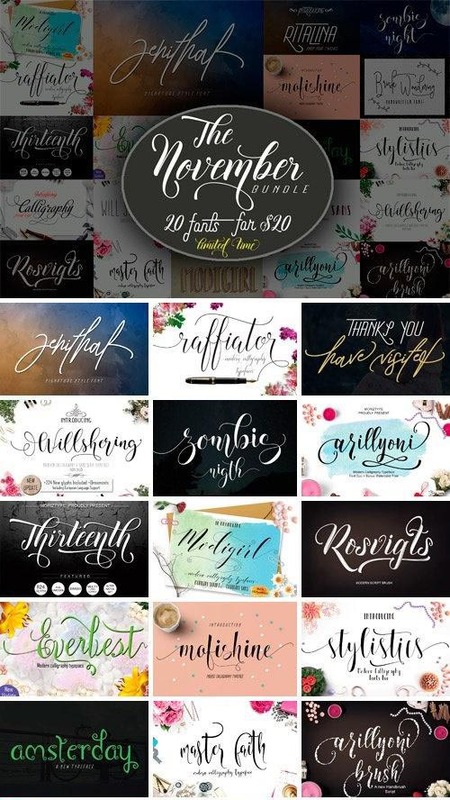 The vintage and feminine calligraphic script fonts has gone too wild nowadays. So here we are, providing what society wants.